Sublimation ink is not ink in the traditional sense. Traditional ink contains certain pigments to achieve color. Conversely, sublimation ink is made up of dye solids that are suspended in a carrier fluid. This gives sublimation ink a high viscosity, which is why printers designed for use with traditional pigment ink or office inks have difficulty passing dye sublimation ink through the nozzles and print heads. One reason why Sawgrass’ Virtuoso HD Product Decorating Systems are the leading solution for high-quality sublimation printing is because the Virtuoso printers are the only desktop printers engineered to work with dye sublimation ink formulations. All other ink and printer combinations are considered aftermarket because the printers are manufactured for office use with pigment inks. The sublimation inks used in these office printers are not necessarily formulated to be used with those specific printers. Even when the formulation for dye sublimation ink is altered for a particular office printer, the attempt is for the ink to work with existing hardware but the result is that the printer will often break down when using a highly viscous, dye sublimation ink. Micro-bubbles of air, contaminants, dust and other particles that can be introduced into a printer’s internal dispersion system via ink can easily damage the components, irreparably. While the inherent quality of some aftermarket ink formulations can cause these contaminants to enter the system, choosing a closed ink system greatly reduces the chance that your environment is adding to the problem. A closed system uses pre-filled cartridges instead of refillable cartridges or a bulk ink system with open containers. Sealed ink cartridges are one-time-use containers that are professionally filled to prevent air or contaminants from entering the ink. Inside of a pre-filled cartridge is a vacuum bag that contains ink which expands as the ink is added and its sealed off when filling is complete to ensure the integrity of the system. This process ensures that the quality of the ink you’re using is consistent with the standards of the manufacturer and reduces the chances that you will damage your printer when you print. Refillable ink cartridges uses ink that has been packaged in bottles or large-volume containers in your printer. This may seem like a great value, but if ink refilling is done improperly, contaminants and/or micro-bubbles can enter the ink delivery system of the printer and cause issues with quality and delivery. In a worst-case scenario, improperly filled ink cartridges can cause damage to the print head and the ink delivery system. New refillable cartridges must be thoroughly cleaned and dried overnight before installation, and the process repeated every six months. Failure to do so could result in premature printer failure. The actual time filling open systems typically brings production to a halt, which means time that you’re not earning money. And since the refilling and cleaning process can be slow and messy, you can spend much more time than anticipated on changing ink. With a closed system, it only takes a few seconds to switch out a cartridge. Sublimation inks must be manufactured with a given printer in mind. Not every ink jet printer can process sublimation ink. For example, some print heads use heat, which can cause premature gassing of the dye solids in the ink. Additionally, head jets, pressure systems and internal tubing must be able to handle the inks without having their composition degraded in the process. Sawgrass has more than 25 years of experience in developing and testing precise formulations of sublimation ink to work with specific printers. These inks are made with the highest-quality materials for specific print outcomes. 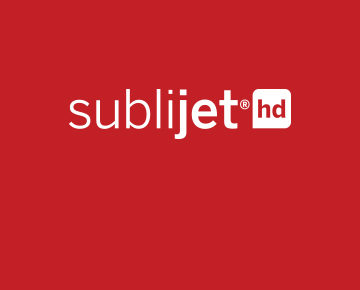 SubliJet-HD Pro Photo inks, for example, have been formulated to work within the VJ 628 printer, so that together, they deliver prints that have the subtle skin tones, neutral blacks and fine gradients high-end photographers and art printers need to command premium prices. Not only does Sawgrass’ Product Development team continue to develop new formulations to meet the needs of customers, they also continue to refine existing formulations to deliver the best quality prints with Virtuoso printers. What’s more, Sawgrass’ precision manufacturing process fills cartridges to ensure there are no contaminants, impurities or micro-bubbles that can affect color output and printer hardware. What’s more, the color and print management software Sawgrass offers is also designed to bring together the ink formulation, specific printer technology, as well as paper type and substrates, to generate accurate colors. Because of the high and consistent quality of Sawgrass inks, customers know they can rely on their Virtuoso systems to deliver what they need, when they need it. Manufacturers of bulk and aftermarket inks cannot make the same claims as Sawgrass. The manufacturing practices of other inks formulations can introduce impurities and contaminants, do not have the right balance of components to deliver standard or desired colors, or even keep the amount of ink used by the printer to a minimum. Aftermarket printers oversaturate prints with these inks to generate deeper colors, which results in substantial waste and reduction in image detail. If a manufacturer offers color management tools, they come in the form of ICC profiles, which do not take the specific printer, substrates and paper into consideration when formulating color output. In the end, the quality of the ink you choose greatly affects your production efficiency, whether or not you damage your printer in the process and will determine if your colors come out they way they should. Given the high risk of lower quality ink, can you really afford not to use a high-quality ink? After all, you really do get what you pay for when it comes to sublimation.